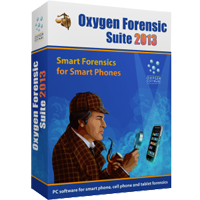 Oxygen Forensic Suite Standard with USB dongle lets you to extract most of the information from Nokia, Blackberry, Windows Mobile (PDA), Samsung, Benq-Siemens, Sony-Ericsson, Motorola, Panasonic and Vertu mobile phones. A special software for Police Departments, Law Enforcement units and all government services that wish to use the power of Oxygen Forensic Suite 2 for investigation purposes. Forensic Edition secures phone data to remain unchanged during extraction and exporting. Cable set for Oxygen Forensic Suite 2013 special cable set necessary to work with Oxygen Forensic Suite 2013. It contains ca. 30 pcs of different cables. Oxygen Forensic Detective (includes 12 months of updates) lets you to extract most of the information from Nokia, Blackberry, Windows Mobile (PDA), Samsung, Benq-Siemens, Sony-Ericsson, Motorola, Panasonic and Vertu mobile phones. A special software for Police Departments, Law Enforcement units and all government services that wish to use the power of Oxygen Forensic Suite 2 for investigation purposes. Forensic Edition secures phone data to remain unchanged during extraction and exporting. Update Pack for Oxygen Forensic Suite Standard gives you 12 months of updates and upgrades that are critical for investigators. 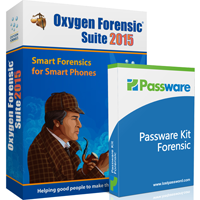 Oxygen Forensic Suite Standard is constantly being updated with support of the latest phones and drivers, new features, and continuous improvements. In a dynamic and ever-changing mobile world, these updates are critical to do a proper phone analysis. 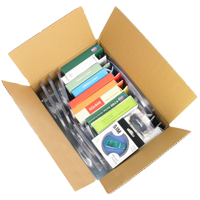 In order to buy this pack you’ll need the Activation Key of your previously purchased Oxygen Forensic Suite 2013 Standard.